Juneau Christmas Bird Count Results! Click here for list of species observed during the 2018 Christmas Bird Count. The 46th Juneau Christmas Bird Count took place Saturday, December 15, 2018. Twenty-nine volunteers reported 59 species and 7,180 individual birds. A few feeder watchers also contributed their observations to the count. Ten additional species were seen during count week, for a total of 69. The weather was overcast, with temperatures in the upper teens to upper twenties, zero precipitation, and calm winds in all areas except downtown and Douglas, which were windy. Most ponds and lakes were frozen. Highlights include Sanderling, Spotted Towhee, White-Throated Sparrow, Anna's Hummingbird, and Red-Winged Blackbird on count day and Sharp-shinned Hawk, Black Turnstone, Eurasian Collared-Dove, Short-eared Owl, Wilson's Warbler, and Harris's Sparrow during count week. Those species have been seen on fewer than 20 previous counts. The count resulted in two new highs, one new low, and a new species. Counts of 873 American Wigeons and 345 Dunlin are new high counts for those species. A count of 112 Surf Scoters is a new low for that species. Additionally, Wilson's Warbler, which was seen during count week, is a new species for the Juneau count. The 23 species that have been seen on each of the other 45 counts were seen on count day. The five most numerous species were Mallard (2,049), American Wigeon (873), Canada Goose (724), Glaucous-winged Gull (714), and Common Raven (274). The 45th Juneau Christmas Bird Count took place Saturday, December 16. Thirty-one volunteers went out in the rain and wind and reported 52 species and 9,393 individual birds. A few feeder watchers also contributed their observations to the count. The weather undoubtedly affected the outcome, and the number of species reported was one of the lowest on record. Fortunately, good weather during count week enabled volunteers to add 22 count week species, for a respectable total of 74. The rarest birds of the day were four Evening Grosbeaks seen at a downtown feeder. Evening Grosbeak had not been previously seen on a Juneau Christmas Bird Count. Other noteworthy observations were Bonaparte's Gull, Eurasian Collared-Dove, Great Horned Owl, and Anna's Hummingbird on count day, and Northern Shoveler, American Three-toed Woodpecker, and Hoary Redpoll during count week. The count resulted in one new high and one new low. A count of seven Black-billed Magpies set a new low for that species. The previous low was eight in 1981. A count of four Evening Grosbeaks added a new species to the checklist and established a high count for that species. Despite the weather, the 23 species that have been seen on each of the other 44 counts were seen on count day. The five most numerous species were Mallard (2,243), Surf Scoter (1,684), Canada Goose (1,398), Glaucous-winged Gull (1,032), and Northwestern Crow (865). Click Here for a detailed list of species observed during the 2017 CBC. The 2016 Juneau Christmas Bird Count was held on Sunday, December 18, 2016, the first weekend of the designated count period of December 14 through January 5. This marked the 117th year of the CBC, with counts planned across the United States, Canada, the Caribbean, and Latin America. This was our 44th count in Juneau. The Juneau Christmas Bird Count was on Sunday, December 18th. The weather was horrible most of count week and our participation on count day was the lowest in many years, with only 18 people in the field. However, there were a few dedicated feeder watchers that contributed to the tally. We saw 59 species for the day and an additional 8 species during the count week. Our species total for the count day was 10 species below the average for the last 30 years, and our individual bird tally of 6,283 was about 40 percent below average. We had no new species for the count, no new high counts for any species, but one new record low count: Northwestern Crow; where were they? Also, we did not see one loon of any kind during the entire week. This has never happened before on our count. Interestingly, as Gus van Vliet has noted from his long-time view of inner Auke Bay, there have been no loons in sight for some time now, but rather a relatively large number of both Common and Red-breasted Mergansers, and our count day numbers for those species reflected as such. Our more unusual count day species included one male Eurasian Widgeon, one Eurasian Collared-Dove, three Anna's Hummingbirds (perhaps not so unusual any longer), one Ruby-crowned Kinglet, the now “famous” Spotted Towhee, one White-throated Sparrow, and 9 Red-winged Blackbirds. Unusual count week species included a Short-eared Owl, a Downy Woodpecker, and a Lincoln's Sparrow. Thanks to all the participants who braved the weather and made the count a success. Click here to view the 2016 results. We had 40 people in the field and a small group of people at home watching feeders. We had a boating party, which is unusual for us, but the weather out toward Portland Island was so bad that the party had to abort and come home, with some effort directed closer to home in the bay where birds were a bit concentrated in sheltered areas. We found 54 species on count day, and had an additional 19 species found during the count week. Nineteen species is likely the most we have ever added during a count week, and this is because we missed so many birds on the count day but the weather improved markedly over the next few days, and birders found many additional species. The 54 species on count day was a substantially below average number, and the number of individual birds counted, 5,982 was way below average and the lowest count since 1980. We also had no record high counts, or all-time low counts for the 23 species we have seen every year (all previous 42 counts). However, we had below average, and quite low counts for many species. After all the amazing bird activity in Auke Bay this fall, there were still seemingly a good number of fish-eating species around, with above average numbers for Pacific Loon, Common Merganser, and Common Murre tallied on count day. If conditions had been better, it would have been interesting to see what the counts on these species would have been. But, most waterfowl counts were down, except for Barrow's Goldeneye, the Corvid counts were all down but gull numbers were reasonable. Again, most of the low numbers were likely due to viewing conditions and birds taking shelter and hunkering down . . . Regarding surprises or rarities, we did have a few species show up either during the count week or on count day that have only been seen a few times, and one species never seen before on our count. For example, a Spotted Towhee was present, a true vagrant species, but it has actually been seen on four prior counts; pretty amazing given it is quite a rare bird in Alaska, anytime, anywhere. On the flip side, a Red-breasted Sapsucker was seen during count week. There are a few local winter records but this was the first time we found one during a count week. We also had two Long-billed Dowitchers and a Yellow-rumped Warbler on count day, and a Redhead and Double-crested Cormorant during the count week. All of these species have been recorded only one or two times previously on our count. The Juneau Christmas Bird Count for 2014 was held on December 14. We had mild weather with virtually no snow cover but standing fresh waters were mostly frozen. Thirty field observers and several feeder watchers found 71 species and 7,199 individual birds on count day, plus an additional eight species were located during the other days of our count week (see attached table). 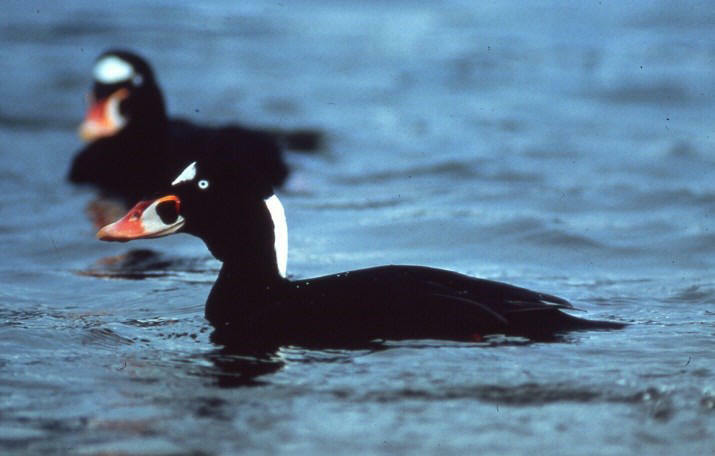 Our total count of individual birds was the lowest in nearly 30 years, which included an all-time low count for Surf Scoter. Other water species were in low numbers and the Glaucous-winged Gull count was likely affected by the fact that the count was held on a Sunday, and the landfill was not operating. Gull, eagle and raven numbers in the immediate Lemon Creek area were lower than usual. The biggest highlight of the count day was the Long-eared Owl found by Deanna and Brian MacPhail on the west side of the Mendenhall River near the end of Industrial Blvd. 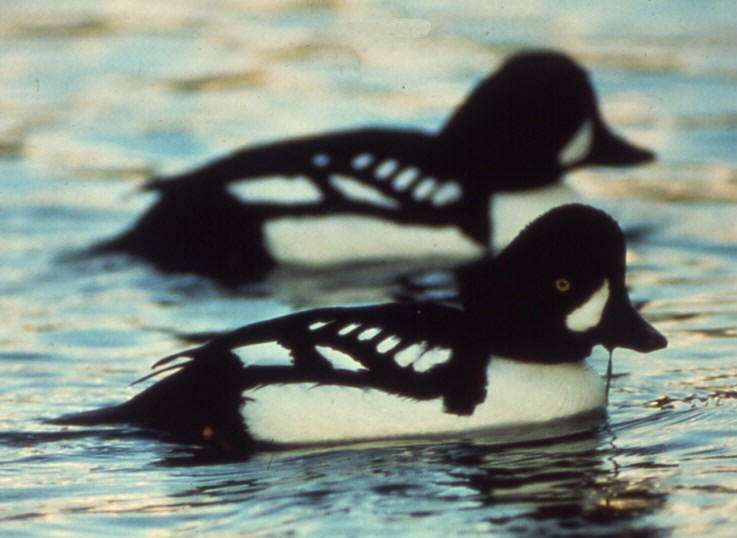 This species had never been seen on a Christmas Bird Count anywhere in Alaska. Other highlights included a Harlan’s Red-tailed Hawk and American Kestrel, both birds that have continued to linger in our area. Several Anna’s Hummingbirds have been frequenting local feeders this fall but only one was seen on count day. A very late Orange-crowned Warbler seen several times along the airport dike trail prior to the count day, ended up being a count week species. Juneau and Southeast Christmas Counts summarized by the Capital City Weekly. Click here. 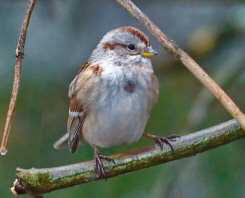 The Juneau Christmas Bird Count for 2012 was held on December 15. We again lucked out on the weather, as the prior day was absolutely miserable, but then conditions improved markedly for count day. 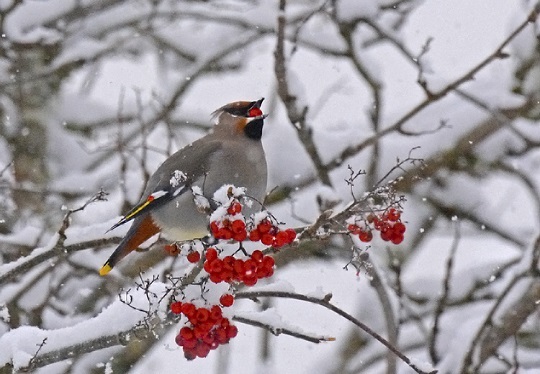 Leading up to the count, we didn’t expect a great diversity of birds, as wintery conditions for some time had pushed many lingering birds to the south. Twenty eight field observers found 66 species and 12,183 individual birds on count day, plus an additional ten species were located during the other days of our count week (see attached table). Our total count of individual birds was above average but this was the case only because of a record smashing number of mallards; many species were seen in low numbers. All the common species that have been seen on the previous 39 counts were found once again. 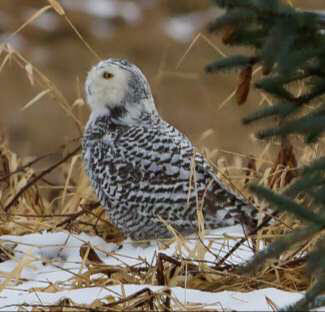 The biggest highlights of the count day included a Snowy Owl on the wetlands found by Nick Hajdukovich and Amy Clark Courtney, and the Sooty Grouse found by Julie Coghill near the Treadwell Ditch on Douglas Island. Other highlights included the continued presence of the Swamp Sparrow near Temsco Helicopters, and a terrific variety of waterfowl on the wetlands and the lower Mendenhall River. Again, we had the bird tally and potluck at our house at the end of the day; it was a very nice evening. Thanks to all who participated. For more information or if you have questions, call Mark Schwan, at 789- 9841. See the January, 2013 edition of the Raven for the results of the Juneau Christmas Bird count and other communities in southeast Alaska. Click here. The 2004 Juneau CBC was held on Sunday, December 18, 2004. The results of the 2002 Juneau Christmas Bird Count (CBC) and all previous years are available at the National Audubon Society web site. Follow these links to view the results of the Juneau Christmas Bird Count for the current CBC and for each CBC since 1976. 2003 Juneau CBC results in PDF format. Copyright © 2006 - 2019 Juneau Audubon Society, Inc.